This 1950’s style hall houses about 85 female students. Facilities include four community spaces, a sizable laundry room, two full kitchens, and private bathrooms in each room. Aagard Hall’s open floor plan contributes to its residents feeling connected across floors. 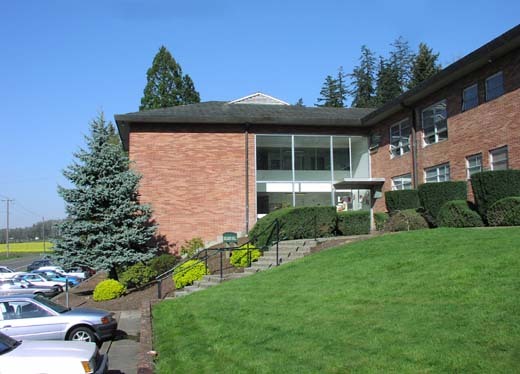 The building is named for two of Corban's early employees, Carrol and Fern Aagard, who subsequently served as missionaries to the Philippines.